Record Producer And Label Executive Tommy LiPuma Has Died At Age 80 : The Record After having worked his way up from packing records at a warehouse, he had decades of success collaborating with artists like George Benson, Diana Krall, Paul McCartney and Natalie Cole. 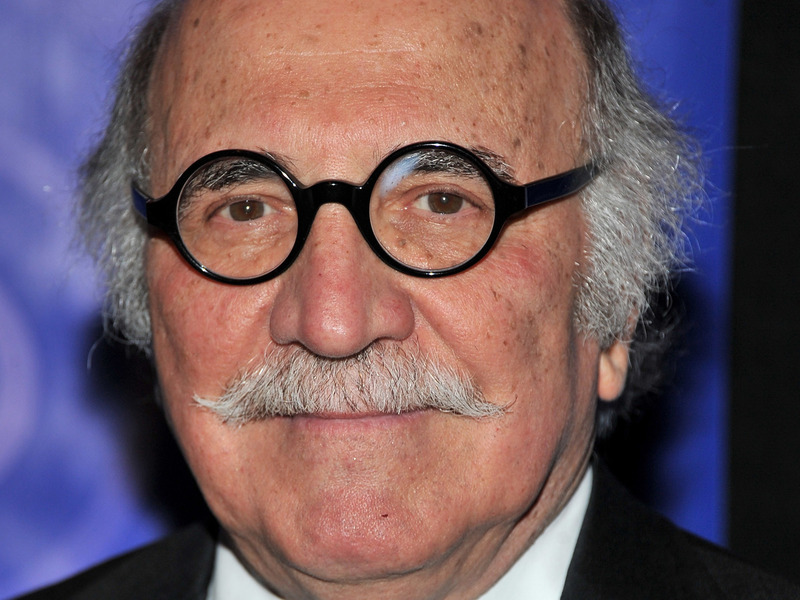 Producer and label executive Tommy LiPuma, shot in New York City in 2011. LiPuma died Monday at age 80. Tommy LiPuma, a record label executive and producer who made recordings with George Benson, Diana Krall, Paul McCartney, Natalie Cole, Dr. John, David Sanborn, Barbra Streisand, Queen Latifah, Leon Russell, Al Jarreau and Miles Davis, died Monday evening in New York City after a brief, undisclosed illness. His death was announced by Regina Joskow, a former colleague, family friend and jazz publicist. Over the course of his career, LiPuma brought his artists — and labels — notable commercial success outside the realm pop albums. The recordings which he produced sold more than 75 million copies in total, including 35 titles that went gold or platinum. They include Natalie Cole's 1991 album Unforgettable ... With Love (which went seven times platinum); George Benson's Breezin' from 1976, which became a No. 1 album on the Billboard 200 Chart; and a string of hits with singer Diana Krall across 11 titles and over 15 million albums sold. Along the way, LiPuma also won five Grammy Awards and earned 33 Grammy nominations. Born July 5, 1936, LiPuma grew up in Cleveland, and played saxophone as a student. His rise in the record business was the result of a very old-school progression through the music industry. As jazz bassist and composer (and Jazz Night in America host) Christian McBride noted at an 80th-birthday celebration concert held last year in LiPuma's honor, he went from "cutting hair to cutting hit records." After working as a barber, LiPuma began packing vinyl records at a warehouse. Soon, he was offered a job in Los Angeles as a radio promoter for Liberty Records before taking a job in publishing. He then began to work as a producer on early recordings by performers including The O'Jays and Randy Newman. He was the first staff producer at A&M records, and in the '60s co-founded the musically eclectic Blue Thumb Records with future Rock and Roll Hall of Fame co-founder Bob Krasnow. He went on to hold executive positions at many of the top American labels that produced jazz, smooth jazz and music aimed at older audiences; they included Warner Bros., Elektra, GRP/Impulse and Verve. In 2011, he produced Paul McCartney's Concord album Kisses On The Bottom, which won a Grammy for Best Pop Standard Album (Vocal) along with projects with Leon Russell and the trumpeter Dominick Farinacci. His last production was a forthcoming album from Krall entitled Turn Up The Quiet, which is scheduled for release in May. LiPuma is survived by his wife, Gill, daughters Jen Monti and Danielle Wiener, and four granchildren: Matty, Julia, Chloe and Ava.